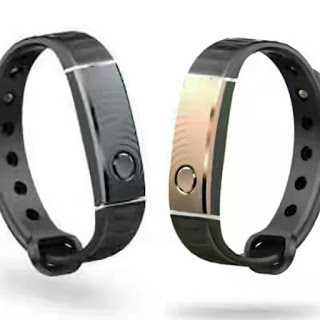 Tecno T-Band is a compatible smart bracelet that allow users connect with their smartphone even when you are not physically with your phone; tecno t-band allows users of c9 control their phone camera functions from as far as 10 meters away. tecno t-band also utilizes a speedometer which counts your working steps. It also monitors your sleep, serves as call reminder and also sedentary. 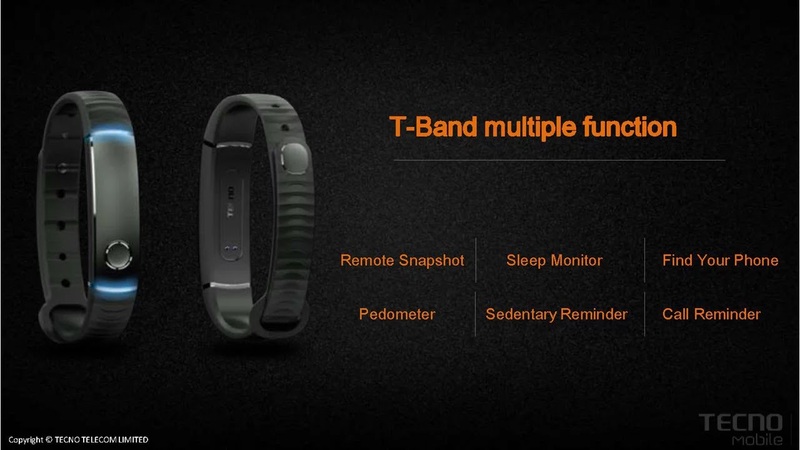 The t-band is a very useful gadget which on can use to track ones phone in case of any misplacement. 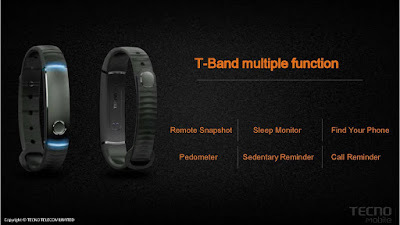 One of the very few functions of the tecno t-band is call reminder, not alone can it be use as a reminder it can also be use for pedometer, to monitor you walking distance, and to my friends who sleeps just too much, you can use the tecno t-band to monitor your sleep, interestingly the tecno t-band can establish a distance of up to 10m connection with your smartphone to communicate. The tecno T-band notifies you of any incoming calls, sms and other notifications on your phone via the T-Band you wore on your wrist. Another function of the tecno t-band is it could be use to locate it your misplaced smartphone even when on silent mode, the Tecno T.Band trace your phone causing it to vibrate out loud so you can retrieve. You just have to press the T-Band’s main button for three seconds. The T-Band will also notify you whenever your phone is 10 meters away from you to keep it within your reach all time and secured. Another powerful function of the tecno t-band is to track the kilometers or how long someone has walked. In order words we are simply saying you can use the tecno t-band to calculate your walking distance. Tecno T-Band is all encompassing you can be rest assured. Last but not the least functions of the tecno t-band is it can be a perfect way to capture photos and selfies, with T-Band you can capture everyone including yourself. To do this, just place the smartphone in a good position with your friends and people you wish to capture well in range, and join your friends for the snapshot ( bearing in mind that range must not exceed 10 mitre), then just tap T.Band to take the picture. Bro i wud like to know can one use the tecno t-band with other smartphone like infinix?